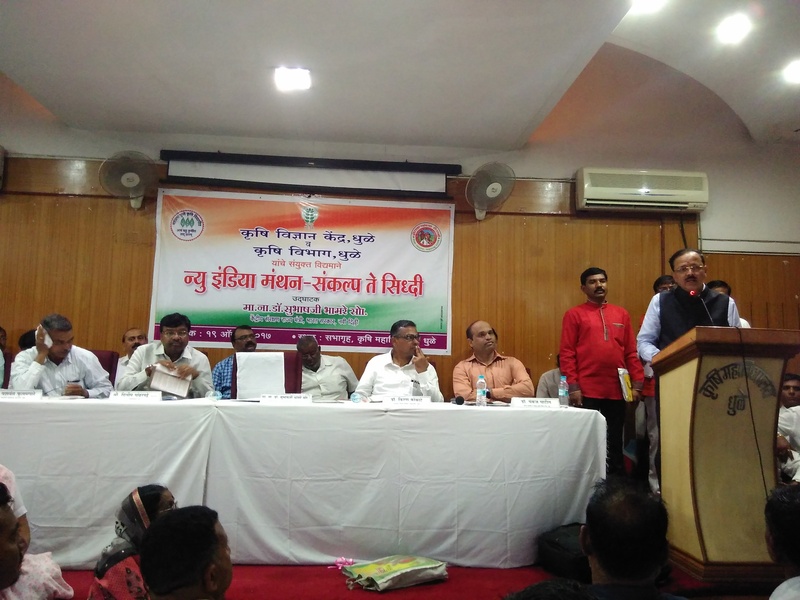 A programme on New India Manthan - Sankalp se Siddhi was jointly organized by KVK, Dhule & Dept. of Agril., Govt. of Maharashtra as per the directives received from ATARI Zone VIII & ICAR, New Delhi. The programme was presided by Hon. Dr. Subhashji Bhamare, Minister of State for Defence, Govt. of India. The other distinguished guest who shared the dias were, Hon. Dr. Kiran Kokate, Director of Extension Eduction, MPKV, Rahuri, Dr. Y. G. Fulpagare, Associate Dean, College of Agri., Dhule, Shri. Prakash Sangale, Supritendent District Agriculture Officer, Dhule, Hon. Shri. Dilip Pandharpatte, Collector, Dhule, Shri. Vivek Patil, DDM, NABARD, Dhule, Dr. Pankaj Patil, Sr. Scientist & Head, KVK, Dhule. 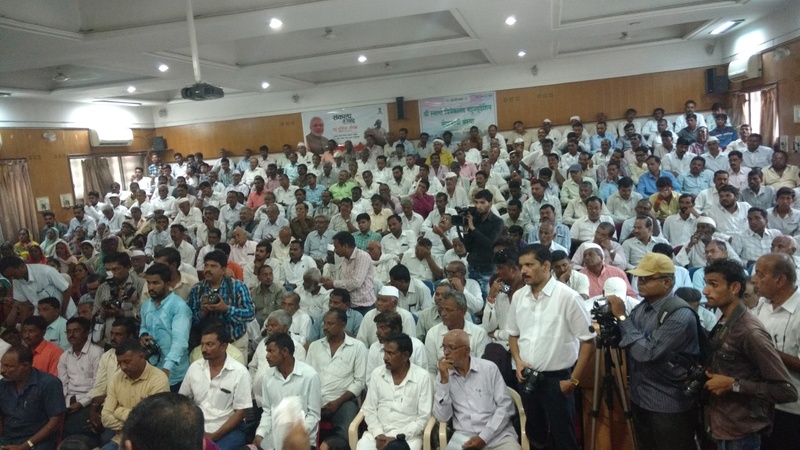 The progressive farmers from jurisdiction of Dhule district were invited for the programme. Total farmers registered for programme were 548, whereas official of Dept. 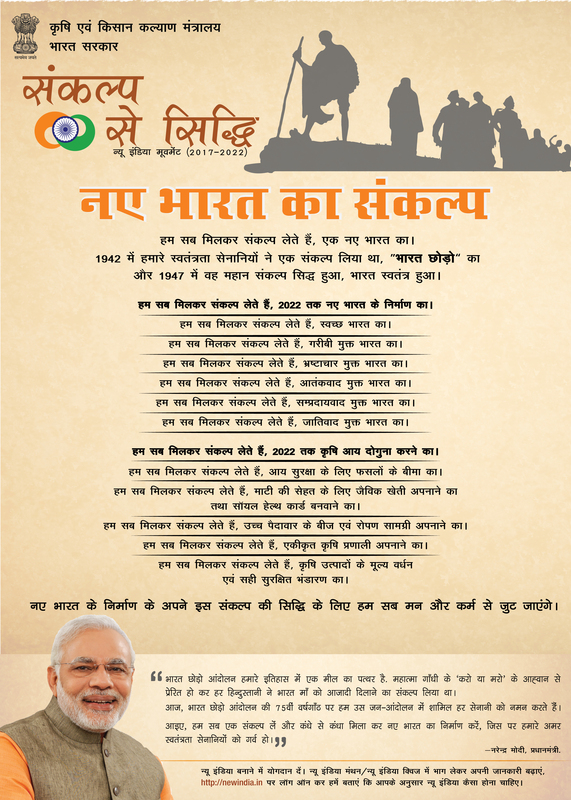 of Agriculture,College of Agriculture & Other Govt. Dept. such as ATMA, Dhule,MAVIM,MAC Project,Central Bank attended the prog.